OPTIONAL WORKSHOPS: We are very excited to offer our guests three very special workshops this week. The first is Opening the Heart and Finding Joy, the second is Sacred Fire Ceremony, and the third is called the Manifestation Circle. For more information and cost please see below. Guest Yoga Teacher Cassandra Wilder N.D.
Cassandra Wilder is a Naturopathic Doctor, Herbalist and Retreat Leader that shares her wisdom of yoga, the Sacred Feminine and natural health all across the world. 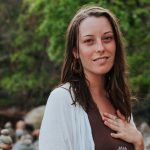 Passionate about women’s wisdom and yoga therapy, Cassandra leads Goddess Retreats across the United States and worldwide, inspiring and empowering people to live authentic, vibrant lives. 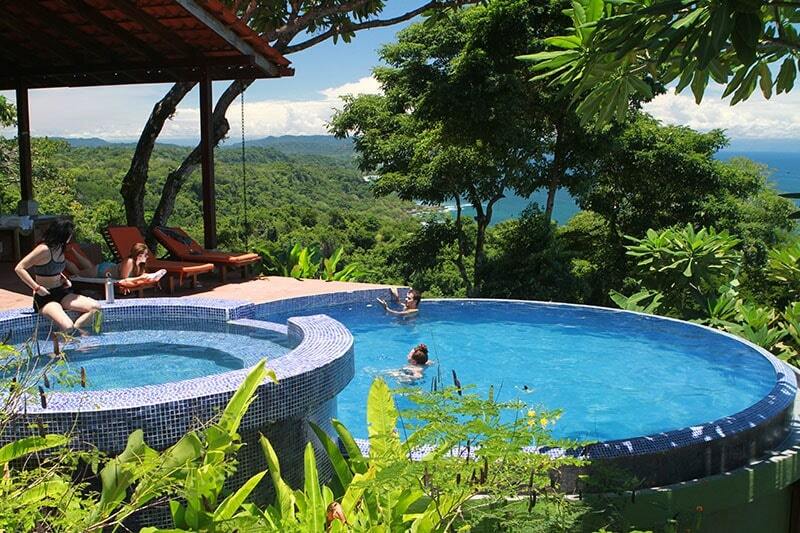 She is honored to be teaching here at Anamaya Resort and to be a part of your beautiful experience here in Costa Rica. Cassandra grew up in a small town in Utah and from a young age had an interest in natural health, the body and healing. By the age of 13, she had proclaimed to her family that she wanted to be a Naturopathic Doctor when she grew up and help men and women find wellness and balance. By 19, she had completed her first Yoga Teacher Training and began her studies at the University of Utah. Before long, Cassandra found herself working a stressful corporate job as she tried to navigate through the steps to success she had been taught. She had a decent job, was about to graduate with her bachelors degree, had a nice apartment and lived in a beautiful city, and yet she felt emptiness. After a relationship ending in a police report and court rooms, Cassandra found herself at her rock bottom. She knew she had two options: she could either stay disempowered and exhausted in her life or, she could begin to change her life and discover who she truly was. Fortunately, she chose to change. Immersing herself in yoga, mindfulness and meditation, Cassandra began to feel the light and joy within her return. Little by little, she began to heal herself. About 6 months later, Cassandra felt called to visit Costa Rica to continue her healing journey and after a few months of resistance, she finally booked a yoga retreat at one of the most beautiful yoga retreat centers in the world – Anamaya Resort. Throughout her week at Anamaya she began to feel a sense of empowerment and happiness she had never felt before. Spending a week at Anamaya gave Cassandra the support and nourishment she needed to begin to radically change her life. Soon, she sold everything she owned, quit her corporate job, moved out of her apartment and left to travel the world with her partner Joseph. Exploring Central America, Southeast Asia and the Western United States, she began to discover her purpose and passion in this world. around the world and later began leading them in Michigan where she was going to school. These circles later expanded into yoga retreats all across the United States and worldwide, providing hundreds of people with a safe and empowering space to heal, rejuvenate and grow. After finishing her schooling as a Naturopathic Doctor, Cassandra began to weave into her teachings the wisdom of health and wellness as well. Known for her down to earth attitude and warmth, Cassandra holds a loving and supportive space to all who meet her. She is beyond honored to be teaching at this week long retreat in November and cannot wait to be a part of your journey! In this supportive and nourishing workshop, you will enjoy a heart opening yoga flow and special workshop and journaling practice to begin your week at Anamaya. We’ll be exploring empowering heart centered yoga poses and reflecting on the layers of the heart before moving into a gentle meditation and journaling practice. If you’d like to begin your life changing week at Anamaya in a grounded and balanced way, sign up for this beautiful workshop! This workshop is one hour and 15 minutes. In this powerful workshop, we will be releasing and burning away the things that no longer serve us. Within this sacred space you will have the opportunity to liberate yourself of the things that hold you back and pull you away from your purpose and joy. Sacred Fire Ceremonies are always included in Cassandra’s Goddess Retreats because they are so transformative and so empowering. Whether you are working through transitions in your life or simply want to feel lighter and more aligned in your life, this workshop will be a powerful addition to your week at Anamaya. This workshop is one hour and 15 minutes. The final workshop at Anamaya this week will focus on the life changing practice of manifestation. Learn how to manifest and create the life you have always dreamed of! In this workshop you’ll learn the elements or guidelines of manifestation and then be able to create your own. Whether you are looking to move into a new career, find a relationship or friendship that you desire, create more self love or gain more financial abundance, this workshop is for you! This is always a favorite. This workshop is one hour and 15 minutes. ***PRICES: $30 for each workshop, or $80 for all three.